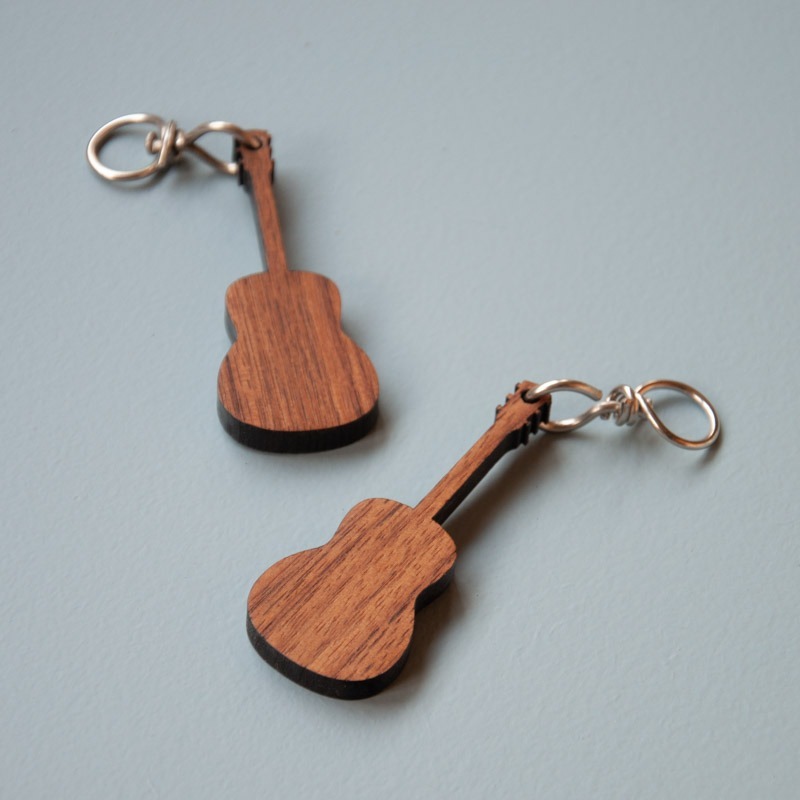 Looking for a gift for a guitarist? This is it! 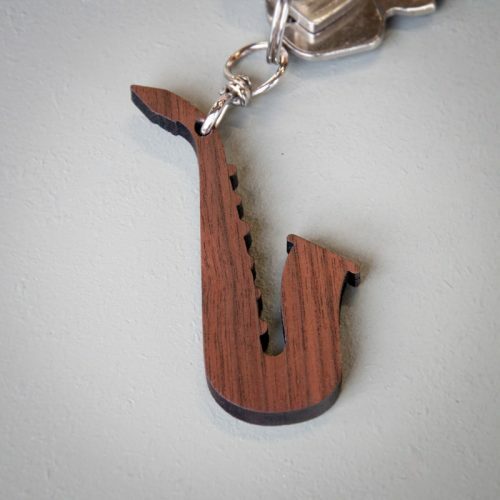 Lasercut out of beautiful American walnut, this keychain is the perfect little item to show off your love for guitars and music. 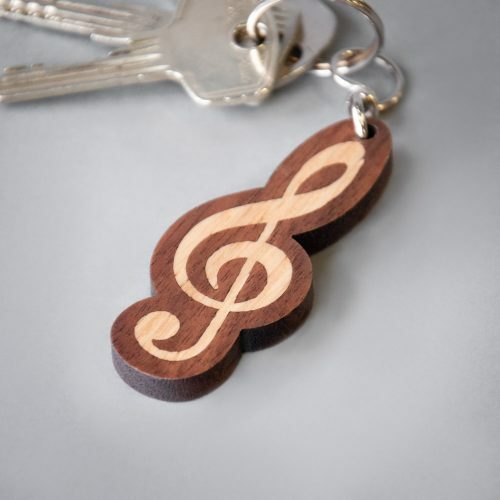 With its natural and subtle looks, you’ll impress your bandmates for sure. Compact in size, so you can easily attach it to your keys and keep it in your pocket. Great as a gift, but tempting to keep one for yourself. 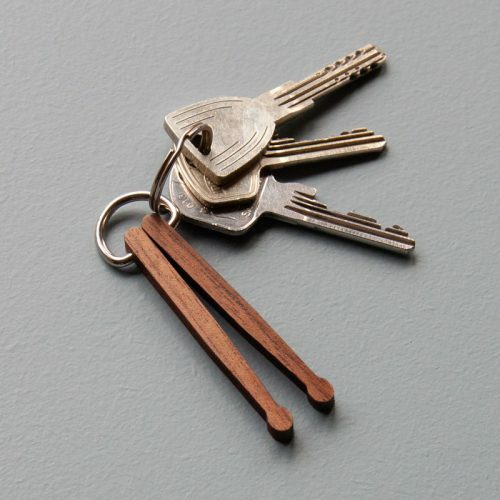 Because it’s made from American walnut, it’s built to last. 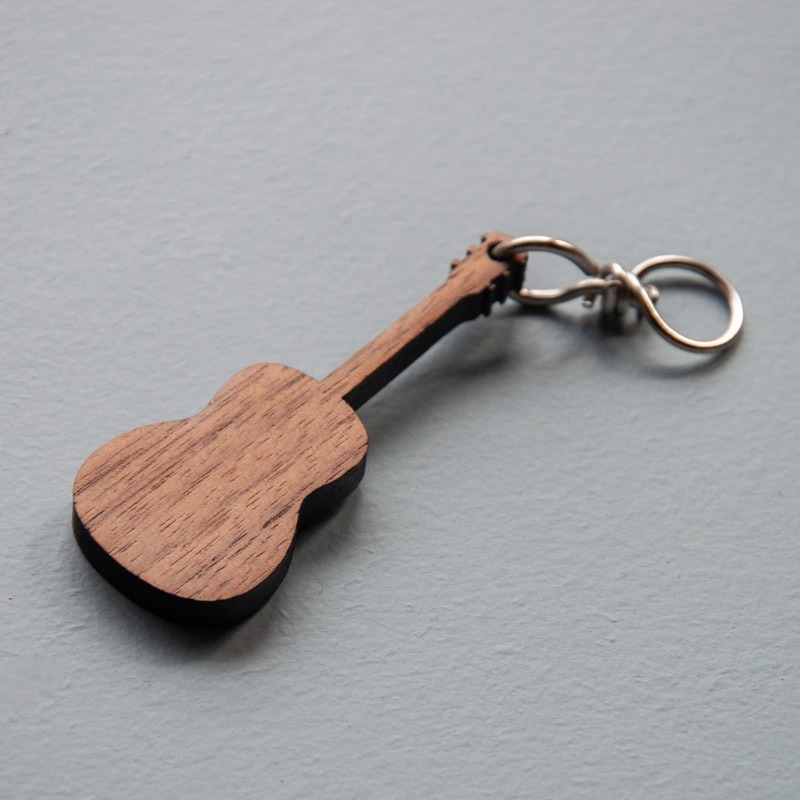 This guitar keychain will keep you rocking all day long!